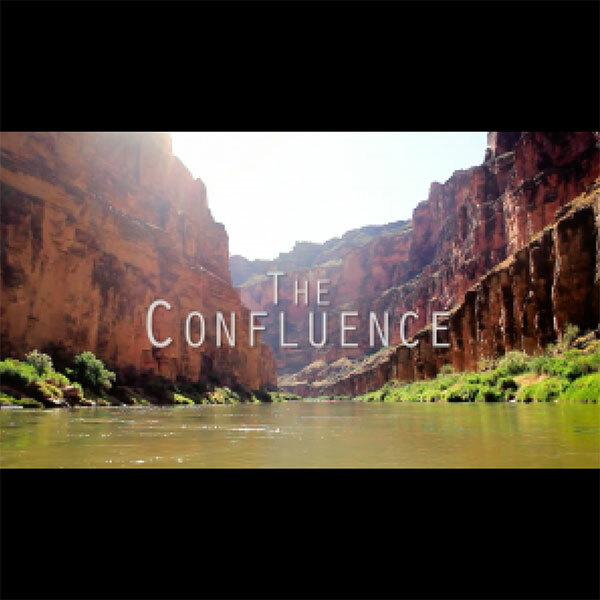 Courtney Blackmer ’16 synthesized her interest in film and Southwest studies for her 2016 thesis documentary “The Confluence,” which has been shown at venues across the Southwest and has been invited to screen at the Grand Canyon Youth Film Festival. This past fall, Robert Redford — actor, director, producer, environmentalist, and the founder of the Sundance Institute — joined the project as the executive producer, furthering the short film’s acclaim. The film centers on the Navajo people local to the Grand Canyon area and the proposed Escalade Development, which would allow a hotel, RV center, restaurant, and other resort attractions to be built on the rim of the canyon, directly above the confluence of the Colorado and Little Colorado Rivers. Even more invasive, the plan includes a 1.4-mile tramway that would shuttle thousands of visitors a day to the bottom of the Grand Canyon, to where the rivers join. This area is considered sacred to numerous Native American peoples, including Navajo, Hopi, and Zuni, and while proponents of the development say this will stimulate the local economy, many see it as desecration of a sacred site. The film features members of the Navajo community as they speak about their lives and tell stories of their origin, many of which focus on the confluence, where legend says the Navajo people first came from. By combining these personal and honest conversations with striking shots of the Grand Canyon area and community around it, the film “explores how the physical landscapes of the Grand Canyon shape the cultural, emotional and spiritual landscapes of the Navajo people who inhabit it,” describes Blackmer. “I am deeply concerned by the challenges facing native communities and I wanted to find a way to be an ally to them,” Blackmer says of her inspiration to start this film, “I am also intrigued and inspired by the wealth of land-based knowledge in native traditions. I saw this as an opportunity to learn from the Navajo people about land stewardship, environmental activism and the spiritual significance of the natural world.” Blackmer’s upbringing in Colorado helped fuel her film as well; by “growing up rafting and kayaking on the Colorado River, I have a deep love and respect for this river which has shaped my experience of myself and my world. In this way, my characters and I share the understanding that places make us who we are,” she says. Blackmer, who majored in film and media studies and minored in Southwest studies at CC, recognizes that her film would not be what it is without the help of several people. “I have been collaborating from the very start with my friend from CC, Isaac Salay ’16, who grew up on the Navajo Nation. He had vital connections to the Navajo community and was a fantastic cultural liaison.” In addition, she had the help of two experienced cinematographers, Isaiah Branch-Boyle and Adam Amir, who devoted a month of their time to helping her shoot striking footage and develop the story further. Redford joined Blackmer’s team in the fall and has encouraged her to make further edits; they have also begun to seek a larger audience for the film. “Our shared interests in documentary filmmaking, environmental activism, and advocating for the rights of native peoples make this an excellent collaboration; I feel very lucky,” she says of the opportunity to work with Redford. You can view Blackmer’s film for free, and hear from Redford and learn more about the Escalade project and the Navajo people fighting against it on the ‘Save the Confluence’ website.